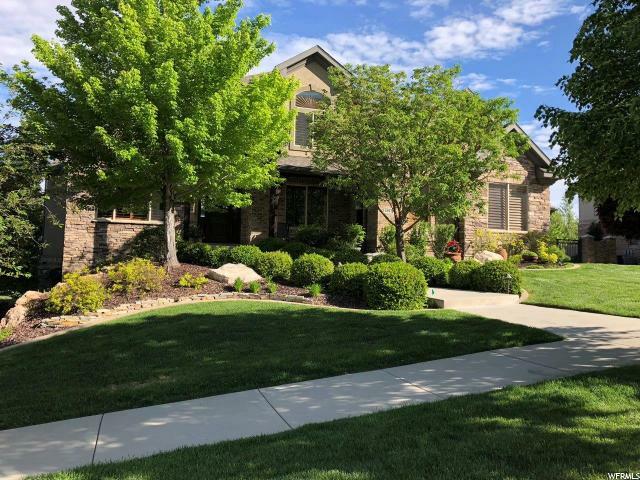 All Draper homes currently listed for sale in Draper as of 04/19/2019 are shown below. You can change the search criteria at any time by pressing the 'Change Search' button below. 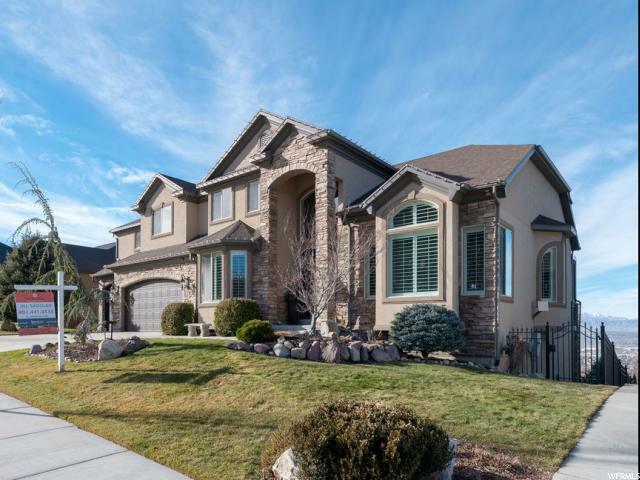 "Beautiful East-Side Draper home with Gorgeous Mountain Views on a very Private Corner Lot*Master bedroom on EVERY floor*Main floor living with Sprawling Floor Plan*Family Room and Extra BONUS Room Both off Kitchen (Additional office Space, a Homework Room, a Craft/Game Room--you decide! )*Three Wine Refrigerators Throughout Home-perfect for Wine or Diet Coke* 20Ft Vaulted Ceilings in Family Room*Large Windows Bring Natural Light* Main floor master=Main-Floor Living* 2nd Staircase off Laundry for Easy Access to upstairs Bedrooms*Gourmet Kitchen Features Wall Oven with Warming Drawer, Compactor, Custom Granite Countertops and Pantry*Upstairs boasts ANOTHER bonus room*Centra Vac*Upstairs Ensuite*Upstairs Jack and Jill* Basement Professionally Finished *Full 2nd Kitchen,*Master Suite*2nd Laundry Room*Game and Theatre-Room Area*Perfect for a Large Family, Out-of-Town Guests, or Possible Potential Passive Income with Basement Entrance*Garage capacity is 5* OR Store your Full-Size RV IN THE GARAGE*RV Garage could also be a Great Workshop/Boat Storage*Central Vacuum*Whole House Speaker System and Security System*Entertainer's Yard complete with Outdoor Kitchen, Hot Tub, Waterfall, Garden Planters, Koi Pond and Large flat Grass space Ideal for Swimming Pool or Outdoor Play Gym (Rough Plumbing/Electrical for Pool is already IN)*Yard is Private the way it sits next to Neighbor*Whole house wired Surround Sound/Alarm*Secondary Irrigation Water*No HOA*Home is convenient to everything Draper*Close to Schools, Parks and Shopping*20 Minutes to World-Class Ski Resorts*Minutes to walking/Biking Trails*All information deemed accurate and reliable; buyer to verify all*This Home has it ALL and is a Must-See! " 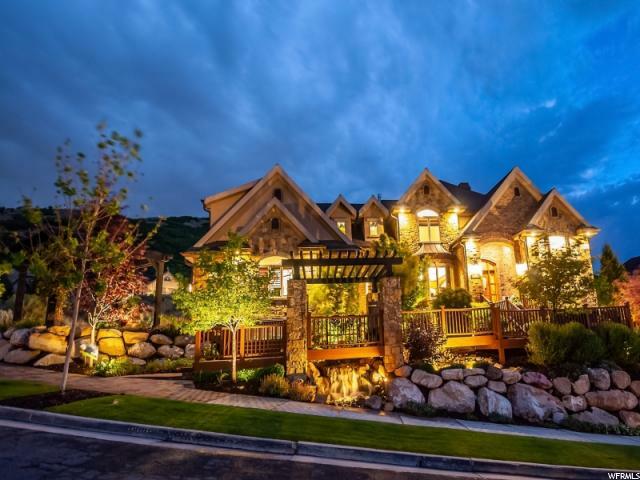 "Spectacular showcase with glorious, unobstructed valley and mountain views! Enjoy the captivating sights and scenery from every window! 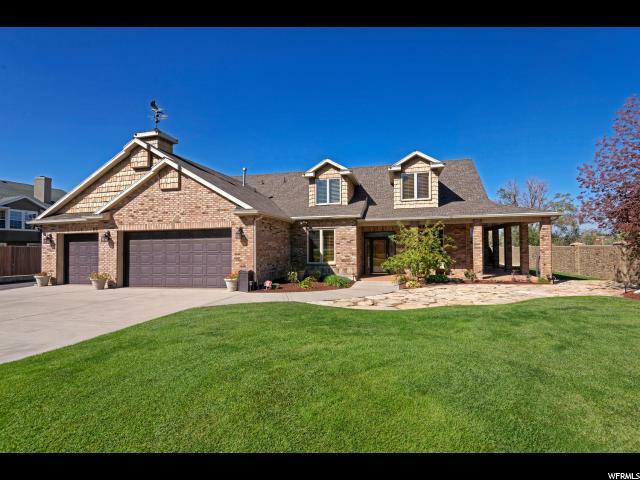 Splendid, private lot overlooking South Mountain Golf Course! 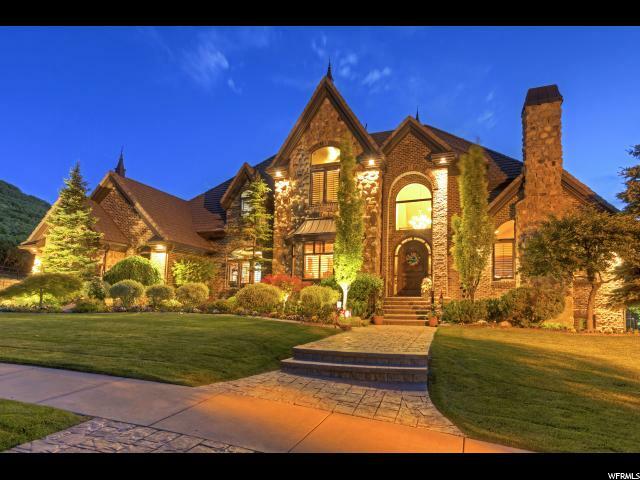 Exceptional entry, gracious formal dining, grand, open living spaces! Sensational designer kitchen boasts gourmet island, granite counters and upgraded stainless steel appliances! Impressive family room features floor to ceiling stone fireplace and natural light streams in from expansive windows! Custom designed bedrooms include their own private baths! Lavish and decadent master suite radiates luxury with mesmerizing valley view, double-sided fireplace and spa-like bath with soaker tub! 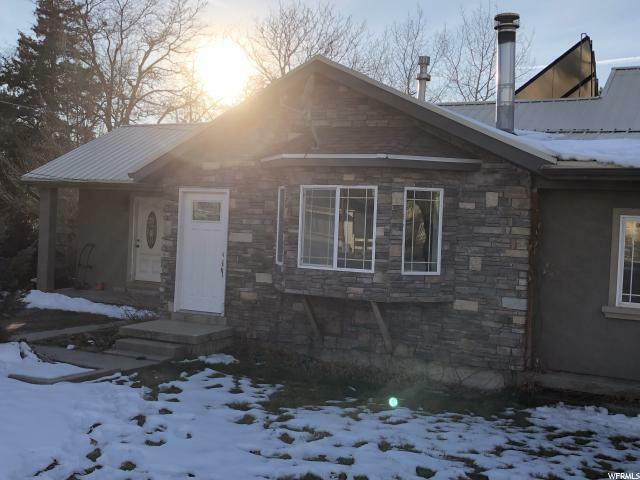 Incredible lower level perfect for enjoyment and entertaining; walk out to covered patio, professionally landscaped yard and never ending views! Theater room could be a bedroom! Grand deck faces the stunning golf course and perfect for soaking in the sweeping, brilliant visual landscapes! Indoors and out, this home offers an amazing backdrop for extraordinary living! " "5842 sq. 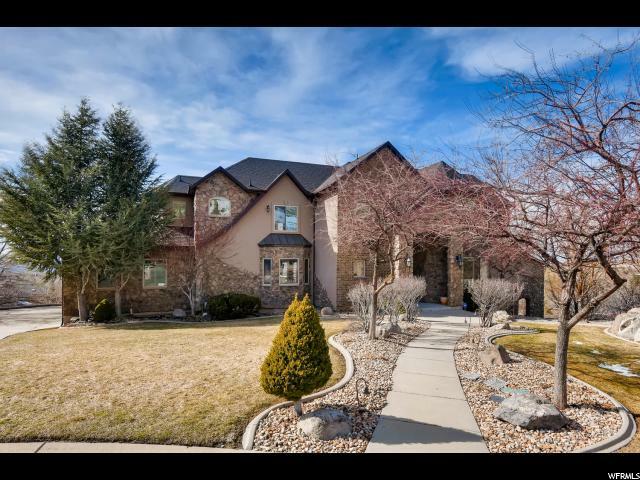 ft. all brick rambler with walkout basement on .42 acre end of cul-de-sac lot nestled up against the famous corner canyon hills with their multiple walking trails and pristine views. 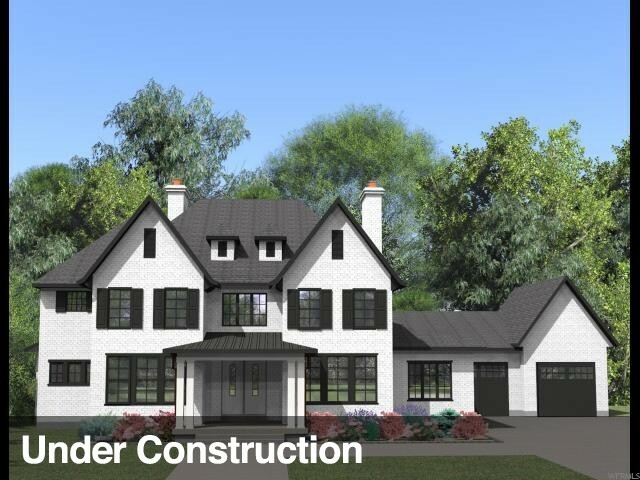 Entire house extensively remodeled in 2017-18. 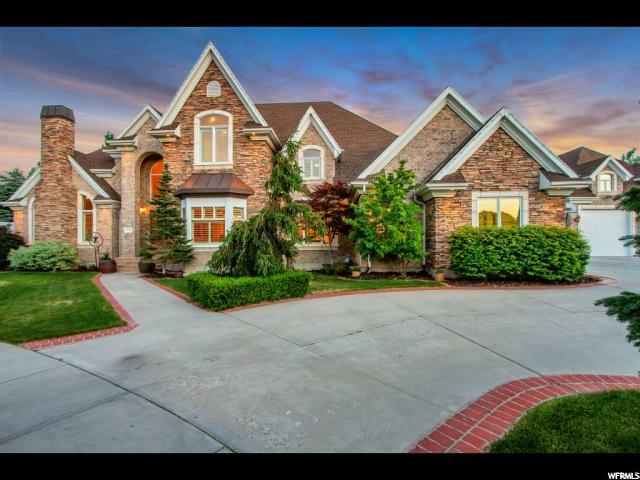 Dual waterfalls greet you to this executive all brick property with sprawling 17' vaulted ceilings in virtually every main room floor. Expansive kitchen with rich solid wood hickory cabinets & hutch imported from Oregon, together with the impressive oversized 10'x4' island flow into a 2nd dining area & a spacious family room with striking fireplace. 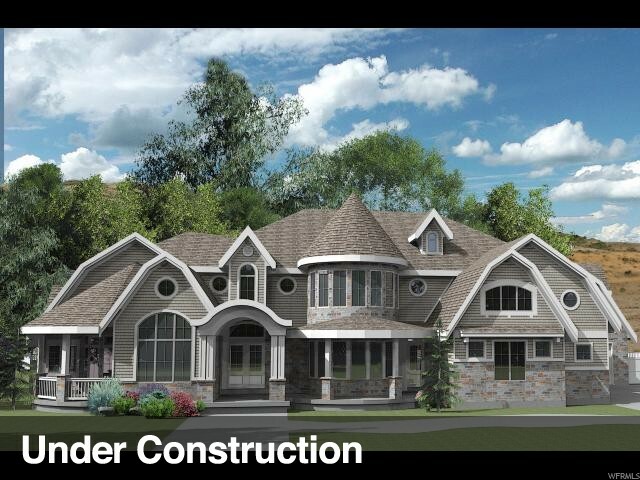 Executive Master bedroom/bath area with fireplace, jetted tub, dual vanities and dual his/hers closets are sure to impress. Classy mud room and fully functional laundry/office will surprise! 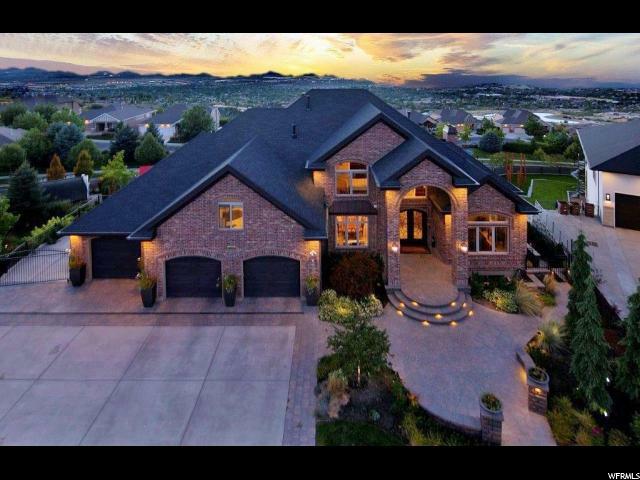 Add in 180 degree valley views from both levels, huge 3 car oversized garage with built in floor to ceiling shelving, added multiple attic storage rooms and you have a unique living experience at your fingertips. 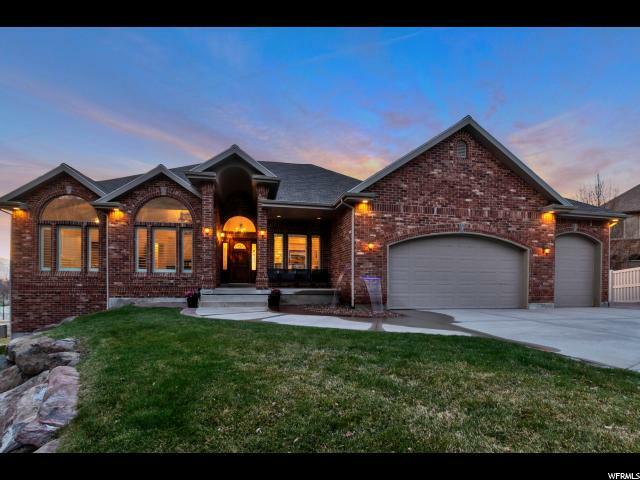 Walkout basement includes a full solid hickory kitchen with island, dining area, family room, full laundry, 2nd master bedroom suite, 2 additional large bedrooms work out room and extra room at every turn. 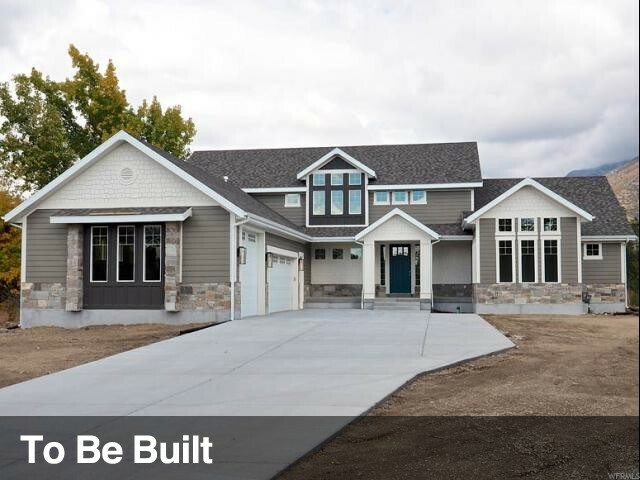 Smart Home, with multiple modern systems controlled by your smartphone, including door locks, heating and cooling, sprinklers, home video-cams and more. 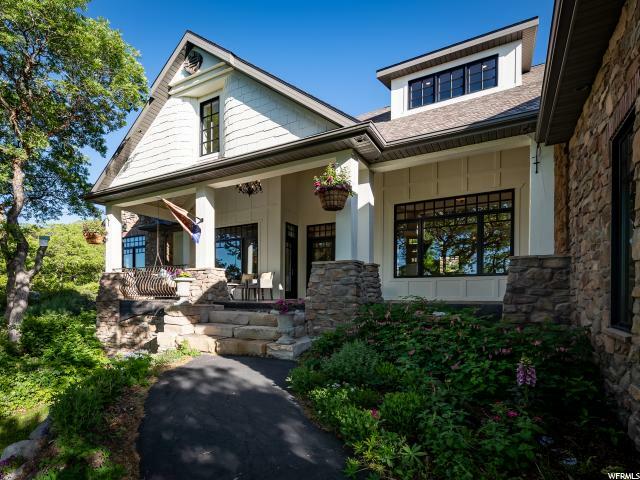 Exterior living abounds with bi-level rambling covered decks, 2018 added side yard with oversized fire pit, secluded hot tub area and multiple fruit and decorative trees. 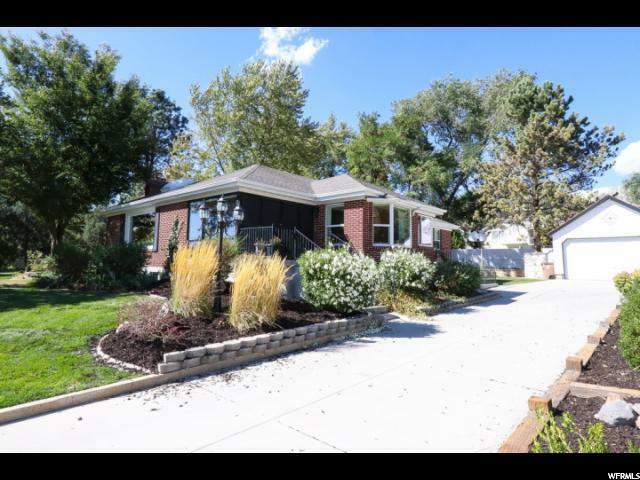 Fantastic non-HOA neighborhood with quick access to Highland Avenue. Agent is the owner." 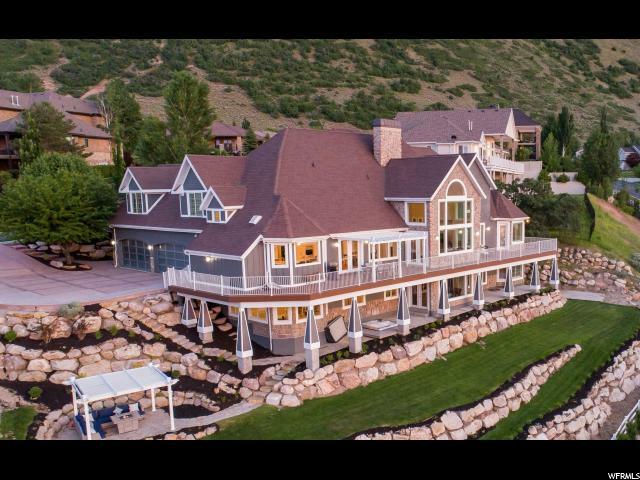 "Stunning luxury home with majestic mountain and valley views! 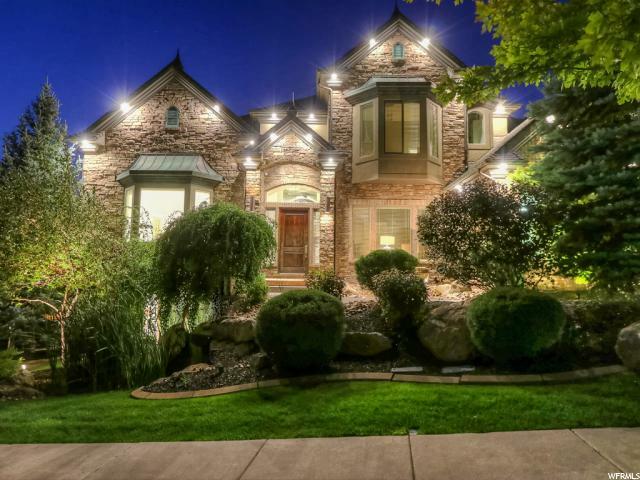 Located in a cul-de-sac, this remarkable custom home in Bear Creek is a dream home. Offering a gorgeous open floor plan with 20ft vaulted ceilings, chefs kitchen, main floor den, tons of natural light, crisp clean neutral paint, shutters throughout, granite counter tops, wonderful full walking landing upstairs that overlooks the formal living room, an oversized deck with breathtaking views to host large gatherings, wonderful master suite with a large master bath and walk-in closet. 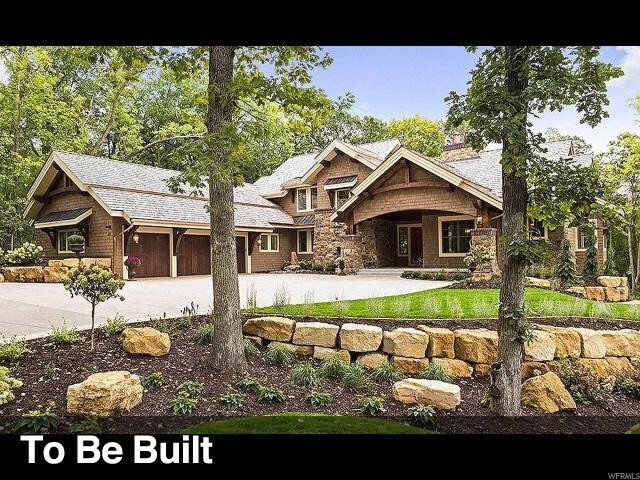 The walkout basement opens to a spacious back yard. Perfect for entertaining! 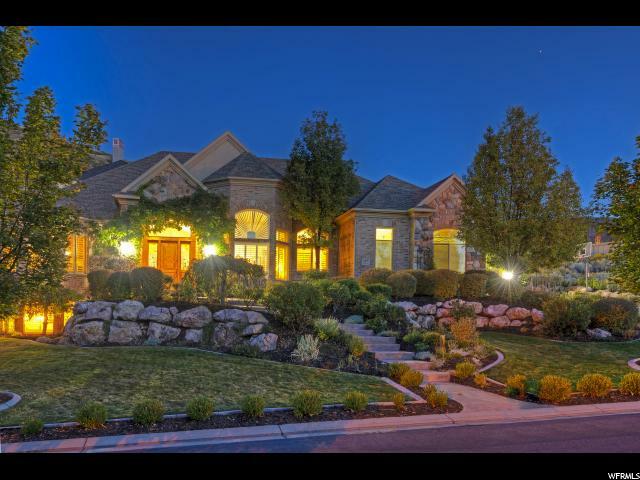 Full landscaping, three car garage and much more!! "